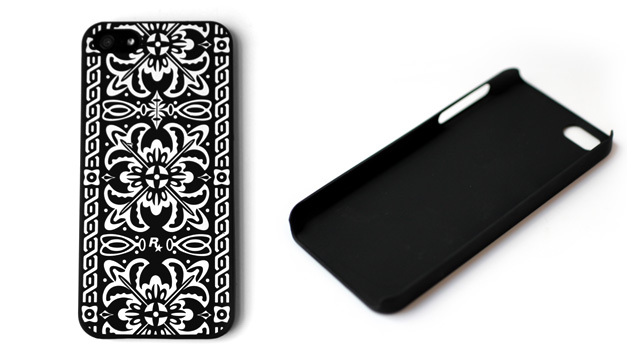 This ultra-thin and durable Snap Case provides four-corner protection for the latest iPhone models (5 and 5s), sports a smooth soft-touch feel and features the signature San Andreas style (and subtly Rockstar logo branded) B&W bandana print. The San Andreas Bandana iPad Sleeve offers form-fitting cushioned protection for your iPad (iPad 2, iPad 3rd gen, iPad 4th gen, iPad Air) or iPad Mini (1st gen, 2nd gen) with a plush felt inner liner and top access zipper closure. 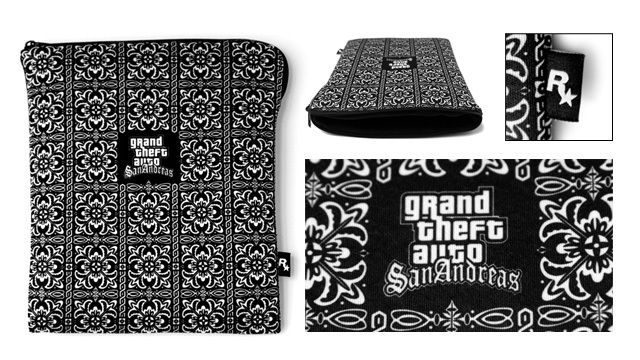 Bringing East Los Santos couture to your tablet, the sleeve features the signature San Andreas bandana print on both its front and back, along with a Rockstar Games tag along its right edge. 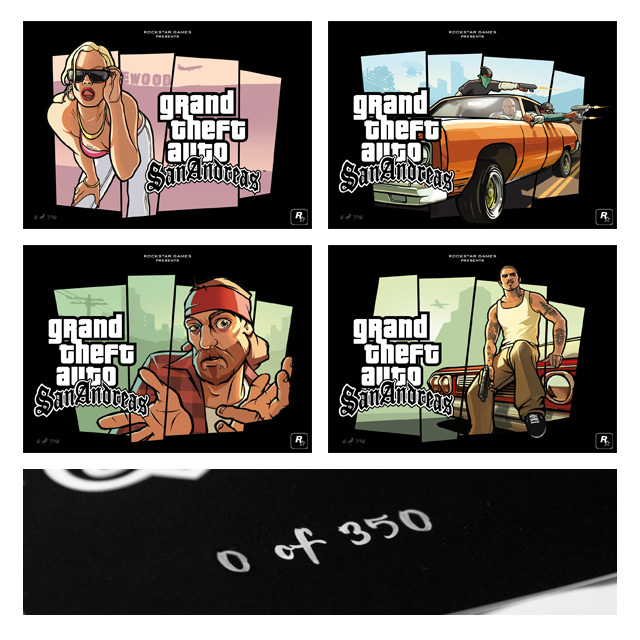 These premium 17” x 12.5” lithographs are printed on high-quality cover stock and feature one of four classic San Andreas illustrations including "The Truth", Cesar, The Driveby, and the iconic lady of Vinewood. Prints are limited-edition and hand-numbered. Only 350 lithographs of each design will ever be produced so get them while supplies last. Looking to stack some chips in true Las Venturas style? 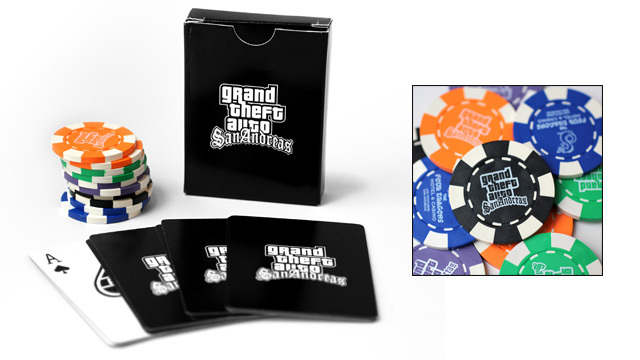 This collectible set includes: one deck of standard playing cards along with ten Grand Theft Auto: San Andreas poker chips (two green, two orange, two blue, two purple, and two black) that feature the GTA San Andreas logo on one side and the Four Dragons Hotel & Casino logo on the other. 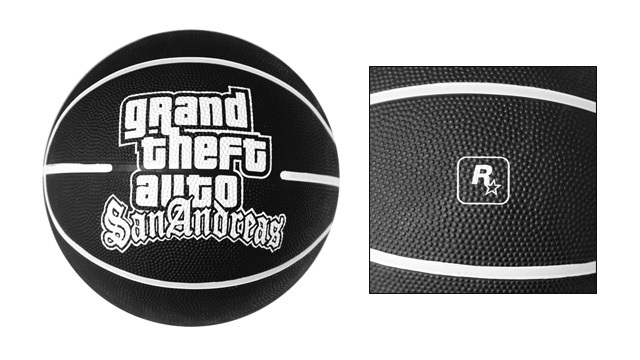 Turn some heads on the court and show off your love for San Andreas with this regulation size basketball, suited for both indoor and outdoor use in striking black & white, rocking the San Andreas logo on both sides plus a Rockstar Games logo on the top. 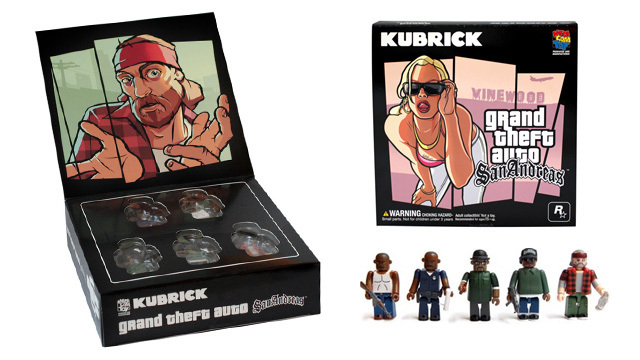 A commemorative reissue to celebrate the release of Grand Theft Auto: San Andreas on mobile devices, this Kubrick Box Set features lead character Carl “CJ” Johnson, Officer Tenpenny, Big Smoke, Ryder, and "The Truth". 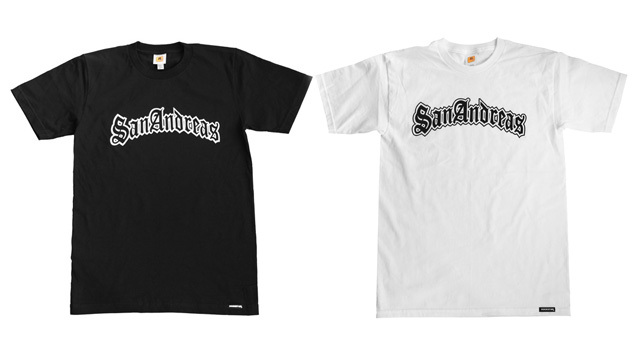 This soft 100% cotton tee proudly represents SA with a San Andreas logo on its front and a small Grand Theft Auto logo just below the neck line on the back. Available in stark and serious black and white options. Awesome! Check out the GTA 5 forums!